Euthanasia Prevention Coalition Euthanasia Prevention Coalition: Lets focus on aid in living, not aid in dying. O.J. 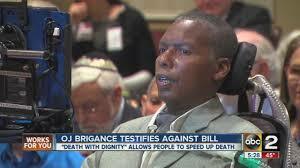 Brigance, former Baltimore Raven.